Discover a place you "Sherwood" love living! 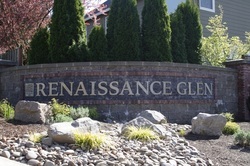 Renaissance Crest is a beautiful Renaissance community just off of Elwert Road in Sherwood Oregon. Just at the edge of town, walking distance to Sherwood's sought after Edy and Laurel Ridge school district and close to shopping, dining and entertainment. This is a friendly community built near the Vineyards neighborhood and boasts several beautiful Renaissance homes and oversize sidewalks that meander through the community to the nearby schools... Renaissance Crest is a great place to call home. Renaissance at Richen Park is one of Sherwood's newest neighborhoods. Perfectly appointed off of Sunset Blvd. it sits right next to Woodhaven Park. 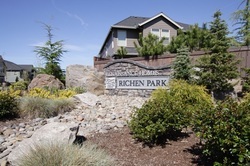 As you enter, a loop makes up Richen Park Terrance and Richen Park Circle showcasing an stunning community that boasts large, quality built family homes on spacious lots... Renaissance at Richen Park is sure to impress. Renaissance Cedar Creek West & East is two neighboring Renaissance communities just off of Sunset Blvd. in Sherwood Oregon. Not far from Woodhaven and Snyder Sports Park, the area and views are beautiful. This is a quiet and desirable area with beautiful Renaissance homes, commons, green space and oversize sidewalks... Renaissance Cedar Creek is sure to delight you. Renaissance Glen is a desirable Renaissance community near Sunset, Murdock and Baker Rd. This private community is located on the edge of town, not far from Snyder Sports Park and Murdock Park, perfectly nestled in a country setting with equestrian estates in close proximity... Whether you choose a home on Major Oak Drive or Stonehaven Street, the Sherwood homes in Renaissance Glen are sure to beckon you. Renaissance is under construction on another new subdivision called Renaissance at Rychlick Farms. It will offer approximately 26 home-sites on generously sized lots with European inspired home designs and price points around the $500,000 plus range. Located off Edy Road, this neighborhood is walking distance to Sherwood’s newest schools, Edy Ridge Elementary and Laurel Ridge Middle School. And it’s no surprise this new Sherwood neighborhood will offer greenspace lots reflecting that “Sherwood” feel.